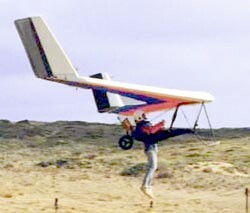 A light sailplane from 1997. 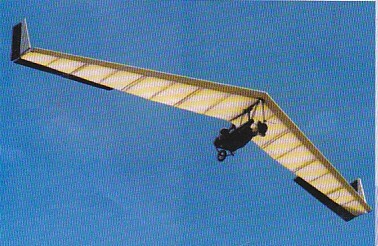 Basically a hang glider version of the Swift fot Advanced pilots. The ailerons and winglets are linked. The aircraft is controlled by a side stick while the pilot lies semi-reclined. Glide Ratio: 17 / faired; 20.